If you are a regular reader of this blog, you are likely a supporter of no kill, unless you just come here to hate read which – hey, we take all comers. But if you are for no kill, you are a compassionate person who believes that shelter directors should do their jobs and not kill the animals in their care. And it’s likely you do more than read about ending the killing – whether you have adopted an animal to save his life, addressed your local politicians about no kill, volunteered at a shelter or any number of other ways you might be engaged. If you work with (or for) the director and staff of your local shelter for any length of time, you may come to consider them friends. You may come to feel that, even though they kill animals, they are basically good people in a bad situation. And you may be right. Every pet killing facility that transitioned to no kill had some well-intentioned people working there who needed education and had a willingness to change. You might be working with people like that. Here’s the thing: education and change don’t fall from the sky and bathe you in their glory. There has to be someone to speak up and demand reform. It can be demanded in polite terms. It can be demanded respectfully. It can be demanded with a bouquet of daisies. But someone has to do it. People are hesitant to bring criticism to their friends, especially when they have developed and want to maintain the relationship. And many pet killing facilities make it clear on social media or even in their policy handbooks that criticism is not allowed. Animal advocates sometimes have the concern, and rightfully so, that their ability to help animals at the shelter will be taken away if they speak up against the killing. I get all of that. Still, someone has to do it. If no one stands up and says unequivocally that killing is wrong and it needs to stop immediately, no one will hear it. And if no one hears it, those good people you are working with, sympathizing with, making excuses for, enabling – whatever you want to call it – will maintain the status quo. They will keep killing animals while you keep silent. I have no problem being the bad guy. I will call out every director failing to shelter animals and killing them instead. Every last one. The ones who say they hate it, the ones who seem to enjoy it, and every one in between. If they never hear it from anyone else, they will hear it from me: killing shelter animals, including the unborn, is wrong. My hope though, is that by bringing attention to the individual shelters doing the killing, someone local will be motivated to take action to protect the animals. I’m not saying anyone is going to chain themselves to the kill room door and chant “No more killing” into a bullhorn or anything, but maybe a meeting will be sought. Perhaps a conversation will be had. Even if it’s only to say what a jerk that YesBiscuit is and what does she know and we’re doing the best we can but oh I did notice that no kill checklist she posted and I wondered if one of those things might work for us. It’s a start. Complacency is the enemy of reform. If you find yourself defending the killing of shelter animals, you have become complacent about the failure at your shelter. Snap out of it. Do not wait for a mandatory spay-neuter law to magically solve your challenges – mainly because MSN has never eliminated or reduced the killing of shelter animals anywhere it’s been tried. It’s a proven failure with some communities seeing an increase in killing after the passage of MSN. This is why MSN is opposed by most every major animal welfare group in the country including the No Kill Advocacy Center, ASPCA, Alley Cat Allies, AVMA, and the American College of Theriogenologists. There is no excuse for continuing the killing while waiting to implement a failed plan and ignoring those practices which have been proven to be successful in saving shelter pets. The programs and policies that will help you long term to maintain no kill can also be relied upon to help you in your immediate crisis. It all starts with a hard working, compassionate director committed to lifesaving for whom killing is not an option. Do you have that at your shelter? If yes, you’ve got a head start. If no, you need one. You can’t skip that one for now and expect to move ahead. There is no shelter saving more than 90% of its animals being led by someone who kills animals for convenience. And yes, that is the right word. You can call it killing for space, time, resources, population control or any name you like but the animals are being killed for convenience – yours, obviously. And it’s entirely inconsistent with no kill. There is no easy to be had in this world, I’m convinced. Sheltering pets instead of killing them takes extensive, continuous efforts from the director, staff, volunteers and the community. I guess that’s why they call it work. She has the backing of the community, local officials and AVRAL (Alabama Voters for Responsible Animal Legislation), a grassroots political action committee dedicated to helping pass animal-friendly legislation. It is run by Dr. Rhonda Parker. I’ve blogged about AVRAL before. Taylor said she is purchasing the former Liberty Woodworks building on Ala. 24 as the location for the new shelter, which she said will be the first county no-kill shelter in Alabama. Scott provided us with additional images from the shelter showing dogs lying in their own waste, and at least one emaciated dog lying in a pen too small for it to turn around in. Scott claims several of the animals are obviously sick and in need of care. “Sick animals, they can’t even get up to walk, just laying there, laying there in their own waste,” Scott says. 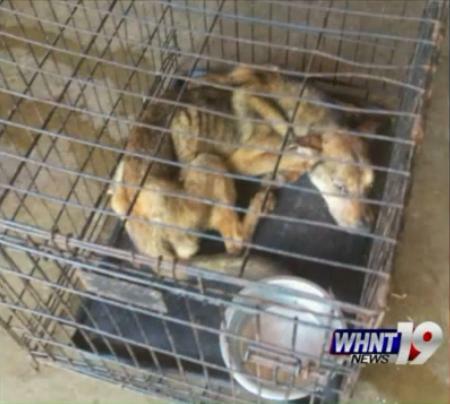 Screengrab from the WHNT website showing an emaciated dog in a metal crate at the Lawrence Co shelter. Mr. Scott says he brought his concerns to law enforcement and the police chief confirmed there is an investigation being conducted. I get the impression that politics run deep here. WHNT describes Ms. Taylor as “an outspoken advocate for no-kill animal shelters”. As many readers know, pet killing groups such as PETA enjoy exploiting any opportunity to condemn no kill sheltering and further an agenda of killing by falsely claiming no kill is about warehousing and neglecting animals. I don’t know if PETA or any other anti-pet groups have yet commented on the Lawrence Co situation but I want to make my position clear. The Lawrence Co shelter’s “no kill” claim is irrelevant. If the allegations of abuse and neglect are true then in fact the shelter has more in common with high kill pounds and the leadership and staff who run them: the idea that animal life is cheap. Animal abuse, filth, neglect and suffering do not represent the no kill movement. No Kill does not mean poor care, hostile and abusive treatment, and warehousing animals without the intentional killing. It means modernizing shelter operations so that animals are well cared for and kept moving efficiently and effectively through the shelter and into homes. The No Kill movement puts action behind the words of every shelter’s mission statement: “All life is precious.” No Kill is about valuing animals, which means not only saving their lives but also giving them good quality care. It means vaccination on intake, nutritious food, daily socialization and exercise, fresh clean water, medical care, and a system that finds loving, new homes. At the open admission No Kill shelter I oversaw, the average length of stay for animals was eight days, we had a return rate of less than two percent, we reduced the disease rate by 90 percent from the prior administration, we reduced the killing rate by 75 percent, no animal ever celebrated an anniversary in the facility, and we saved 93 percent of all impounded animals. In short, we brought sheltering into the 21st century. The difference between true no kill advocates and those who embrace pet killing facilities is that we will not hesitate to condemn neglect and abuse of animals regardless of what label the group attaches to itself: AC shelter, no kill shelter, rescue group, etc. We speak only for the animals. By contrast, no kill’s detractors will generally ignore or even defend abuse, so long as the facility also intentionally kills the animals and does so by falsely claiming there are too many animals, not enough homes and the public is irresponsible. I hope there is a fair and thorough investigation of the Lawrence Co shelter that rises above political interests and truly protects the animals. Regardless of the results of that investigation, it’s important to be clear that animal abuse and neglect – wherever it occurs and whoever is responsible – is unacceptable. 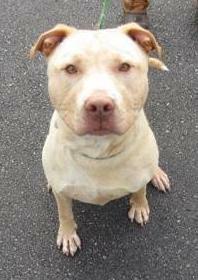 Dug, ID #19254, as pictured on the NH SPCA website. Transparency is a hallmark of the no kill movement. All shelters claiming to be no kill should either have their annual statistics posted online for everyone to see or provide them without delay upon request. Questions regarding the shelter’s policies should be answered in a timely manner. Anything less is unacceptable. Although I have come across occasional claims that New Hampshire is a no kill state, I have never seen any evidence to back up this claim. Given that this blog is dedicated to no kill and that any state in our country becoming no kill would be monumental news, I have tried repeatedly to substantiate this claim on my own. Sadly, I’ve never come close to doing so because most of the shelters do not have their stats posted online nor will they provide them to me upon request. But since the claim persists, I again attempted last month to obtain the stats and get questions answered from a number of NH shelters. I’d like to share what I’ve learned. We do not have the 2013 statistics noted on the actual website, if that is what you are looking for. There is complete transparency form those that report – you can click on the members and go directly to their individual websites for annual reports which will have all the information you seek. What is your shelter’s feral cat policy? Are healthy/treatable feral cats ever euthanized? What is your shelter’s policy on cats/kittens with URI? Are cats/kittens with URI ever euthanized? What is your shelter’s policy on euthanasia? Are healthy/treatable animals (any type – e.g. dogs, rabbits, wildlife, etc.) ever euthanized? What is your shelter’s policy on spaying pregnant animals? Are pregnant animals ever spayed? Thank you for your inquiry. We’re happy to hear from a fellow animal lover! Our current ‘Year End’ statistics for 2014 are about to go to print and you can access them through our Newsletter on our website www.nhspca.org when they are published, which will be in the next few weeks. Let me know if you have any trouble with that. In the meantime, I have attached our most recently complied statistics from 2013. Let me know if you need any clarification or have further questions. We are proud of our successes in NH but they are hard won and not without struggle and daily determination to save and improve lives. At the NHSPCA our goal is a loving home for every pet and we care deeply for those in our care. In addition to our dedicated staff, we support and are aided by a pet-loving community and a thriving volunteer/foster parent program; an active humane education department; and diverse pet training/retention program. Our live release rate is currently 94%, we are an ‘Open Admission-Unlimited stay’ facility. The pets we have lost to euthanasia or death fall into two basic categories of aggression and/or extreme illness/suffering unlikely to recover. I have answered your more detailed questions below in blue. What is your shelter’s feral cat policy? Are healthy/treatable feral cats ever euthanized? We believe that the shelter environment is no place for a feral cat so for the most part we refer those cats to local ‘community cat’ support groups who do TNR. That being said, when we are brought feral adult cats we do spay/neuter/vaccinate and either transfer them to one of the ‘community cat’ groups or keep them until we find a ‘barn home’ for them. We also readily take in and socialize many feral kittens through our foster program where they learn about life in a real home environment (I am a feral kitten foster myself-they’re my favorite foster opportunity). Most feral kittens become loving ‘inside only’ pets. A healthy/treatable feral cat is never euthanized, with time we can find an appropriate placement for every cat. That’s what we mean by ‘unlimited stay’. What is your shelter’s policy on cats/kittens with URI? Are cats/kittens with URI ever euthanized? URI is an unfortunate consequence of the sheltering environment when you’re trying to save every life you can have a lot of cats in close quarters. We have an isolation unit where we quarantine and treat cats who contract URI. Very occasionally a geriatric cat or underage kitten will become so ill that they cannot recover and it becomes kindest to euthanize, but that is rare now since we’ve upgraded our ISO unit; for the most part, once they recover they are returned to the adoption floor. What is your shelter’s policy on euthanasia? Are healthy/treatable animals (any type – e.g. dogs, rabbits, wildlife, etc.) ever euthanized? Our euthanasia rate is about 5%. We spend a great deal of energy, time and resources bringing surrendered and rescued pets to a healthy, or manageable adoptable state. We treat every animal in our care as an individual. No pet passes through our doors that we don’t develop an attachment to. What is your shelter’s policy on spaying pregnant animals? Are pregnant animals ever spayed? Known pregnant animals are placed into foster care to birth and raise the off-spring. Rarely, a very early stage pregnancy is spayed when it is only discovered on the operating table. It sounds like the NH SPCA is doing excellent work and the transparency is impressive. 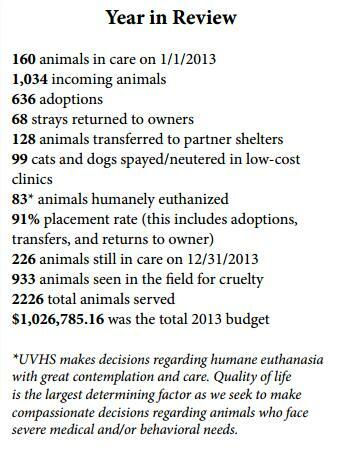 Screengrab of a portion of the Upper Valley Humane Society’s 2013 annual report, as posted on its website. Ms. Brayman stated she had forwarded my email to her senior managers to get answers to my questions. I have not heard anything further from anyone at the Upper Valley Humane Society. Note: The executive director of the New Hampshire Humane Society is Marylee Gorham-Waterman, who responded to the inquiry I made to the NHFHO. I did write to her again and specifically requested the NHHS stats and asked my questions. She did not reply. Glass half-full: There is one open admission shelter in NH that I feel confident in standing behind as no kill: NH SPCA. There may be others. If there are, I would love to blog about their success but can not in good conscience make any claims about what is happening in open admission shelters and/or NHFHO member shelters without having the information to back up those claims. There are many shelter directors in this country who do not believe no kill is possible, simply because they haven’t reviewed the available data that proves otherwise. 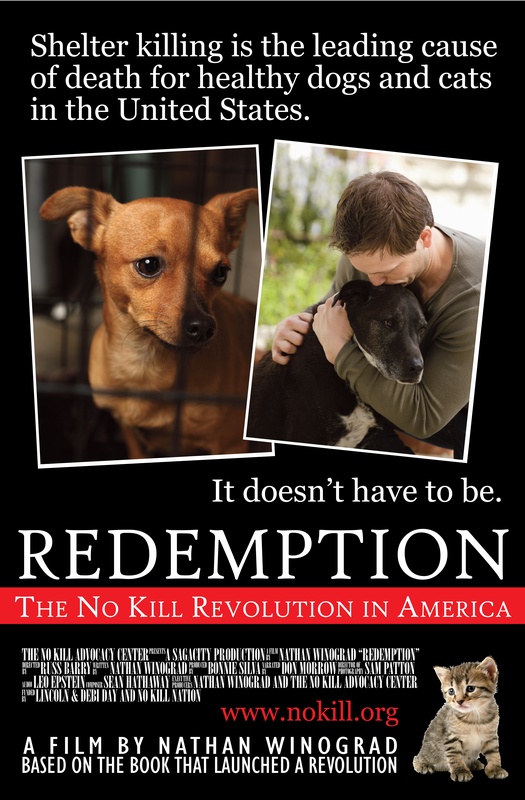 There are a small number of extremists who continually look to discredit the no kill movement. Donors in the internet age are very interested in performing due diligence before making donations to shelters and want to know their donations will not be used for killing animals. For these reasons, and primarily because it’s the right thing to do, transparency is a key component of no kill sheltering. And it follows that it is irresponsible and damaging to claim a shelter, let alone an entire state, is no kill without having the documentation to back that up. To the best of my knowledge, NH is not a no kill state. 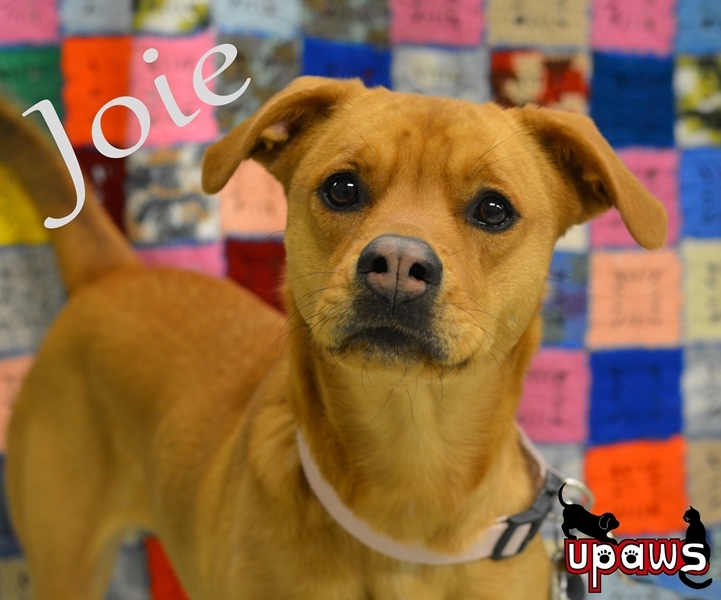 Another photo of Dug from the NH SPCA website because obviously. When we last checked in with the Humane Society of Fremont Co in Colorado, the place was a hot mess. State inspections revealed that the facility was killing animals before their legal holding period expired using inhumane methods, including heartstick, performed by untrained staff, leaving sick and injured animals to suffer without immediate vet care, housing cats in cages that were too small and had mesh flooring, and using the surgery room as a cat intake/holding area as well as an isolation area for sick cats. Local advocates were calling for a new director to bring reform. On September 24, 2014, advocates’ efforts paid off when newly hired director Douglas Rae started on the job. I recently interviewed Doug and learned that under his leadership, the HSFC is now saving nearly every animal in its care. And it’s not being done at the expense of cats either since HSFC isn’t a participant in the War on Cats, choosing instead to reunite lost, friendly, outdoor cats with their owners or find them new ones if needed. Feral cats are neutered and returned to their place in the community. And the only time HSFC performs owner requested euthanasia now is when an animal is medically hopeless and suffering. I was greeted with a large sign on the front door that said, “Welcome Douglas Rae To Our Shelter.” A volunteer was at the front counter when I walked in, he recognized me, and he greeted me straight away before I could introduce myself. I talked with this volunteer at the front counter for almost 30 minutes. This volunteer (and his wife) took me and Lynn (my wife) out to lunch on my first day. After speaking with the volunteer that greeted me, I immediately went into the cat adoption room and introduced myself to every cat. “Hi my name is Doug, I’m getting you out of here.” After the cats, I had the same talk with every dog in the building. And then the rabbits. And then the cats in intake. It’s a ritual I do in every shelter on day one. When the Board flew me out for in Interview in August, I spotted several changes that needed to be made. So I had noted many things I would address on day one if I were selected as the new director. We had signage seemingly on every wall inside of the shelter. I took every sign on the walls down but one, the pricing structure, which I relocated to a better area. So we moved the urns out of immediate eyesight, put nice pictures on the wall in the front lobby and the hallways, moved a couch with pillows into the lobby, added a giant and soothing waterfall in the front window. and made the front area look nice and homey We also started playing soft music and piped aromatherapy through the ventilation system in week one. In fact, as I write this, over one hour after everyone has gone home for the night, not one dog is making a sound. Not one dog is howling or crying. Not one dog is barking. If dogs were barking tonight, the aromatherapy was not changed out from the previous day. Silence is golden in an animal shelter. I have a volunteer willing to help us with easy yet potent protocols utilizing homeopathy, essential oils, flower essences, herbs, etc. There are several, easy-to-use remedies that can help calm, ease anxiety, and relieve stress for animals in a shelter. Diffusing oils in both the front area and the kennel area would be very easy and helpful as well. Individual dogs will also receive homeopathy and other remedies that are good for them specifically – post surgery, digestive support, skin support, URI, UTI, lameness, wound healing, eye issues, arthritis, etc… and guess what, volunteers are all over this making it happen for the animals. We made a lot of changes straight away because I have high expectations for how a shelter should look. But especially in Canon City, where the shelter had been under such scrutiny. Getting the building to where the community needed it was a priority on day one/week one. I want the lobby to be warm and inviting. Heck, I want the entire building to be warm and inviting. For the month of October the shelter was decorated for Halloween. It was scary spooky in here. The day after Thanksgiving, Christmas decorations went up throughout the entire building. Including dog and cat cages. It was quite something to see. Animal shelters need not look and smell like an animal shelter. I filled a notebook on day one with things we needed to address. But I always do this in new jobs. A lot of notes were written that day. Yes. We are contracted through Fremont County, CO and the cities of Canon City, Florence, Coal Creek, Williamsburg, Rockvale and Westcliffe, CO. There were months of discussion of pulling the contract. Once my appointment was announced online, and after several people who wanted the contract canceled but were now advocating that the contract remain in place (after my announcement and one month before I started), the council decided to not pull the contract. The combined per capita number for all cities and the county we are serving when I started was $1.07. We are still at $1.07. Though I desperately need more money to manage this shelter, I have not received more contract dollars. Our donations decreased a good deal due to the shelter’s recent history and the medical expenses increased after my start, as we treat all animals requiring treatment, no matter how big or how small the bill (we do not have a vet on staff). Some people think an animal living in a shelter for longer than 7 days (or whatever that magic number is) should be moved out; I guess through the back door, but I don’t. Nor will I ever. If we have to keep an animal for 30, 60 or 90 days to find that animal a home and ensure life, then we will. We kept two dogs for over 30 days because they needed to be kept together. They were adopted and are now alive in a loving family. Other shelters might have split up a bonded pair of dogs and adopted each individually, or worse, killed the animals if they couldn’t be placed within a designated time frame. Not here, ever. We treat all animals as individuals. We have a 37% Return to Owner rate in my 3 months. We have a detailed list of lost animals at the front counter, we have a lost and found bulletin board in the shelter, we have a “lost animal found” Facebook page where strays are “immediately” posted online at intake, we scan for micro-chips on intake, we check the Colorado lost pets Facebook page to see if animals match any in our shelter. We literally have had ACOs bring in a dog and the owner and dog were reunited in less than 30 minutes. October, National Shelter Dog Month: half price adoptions. Half price adoptions for rabbits. Half price adoptions for cats. November Adopt a Senior Shelter Dog month $25. Black Friday $25.00 adoptions. Our shelter was incorporated December 26, 1950. Adoption prices this 12/26, and adoptions always on 12/26, will be $19.50. In October (my first month) we saved 93% of the animals, November 99% and December 100%, with a $1.07 per capita and close to being 300 operational hours short. What we have accomplished over the last three months may not be noteable when compared to other shelters doing the same thing in other cities, but it is historic in this County. And not because of me. I am simply fortunate to be sitting in the drivers seat as this bus makes its way down the road to bigger and better things. My team has made everything happen and because of that teams efforts, Canon City is now on the national life-saving map. I have never had such a committed and focused group of people saving lives before and I have had a few solid teams in the past. Volunteers from around the state of Colorado (and beyond) have reached out and asked me how they can help. Volunteers drive two hours one-way to bring animals to a rescue. Volunteers have written a check for $900 to cover a cat’s dislocated shoulder, as quickly as they buy a cup of coffee in the morning (and without my even asking for a penny). Volunteers raised $400 for a dog’s eye surgery in less than 24 hours (again, without my asking them to do anything). Volunteers completely manage my rescue program. Volunteers take and upload pictures of adoptable animals onto the website. Volunteers foster pregnant dogs, and bring back healthy puppies for people to adopt 8 weeks late. Volunteers save neonatal kittens when they need to be bottle fed by taking them into their foster home. And so much more. Volunteers are the absolute foundation for what we do in Fremont County. I simply could not be prouder of this team. And really they seemingly were behind me on day one. Sure, I reached out to several people at the start, meeting everyone one-on-one, but folks that were not currently volunteering at the shelter embraced life-saving with little to no direction from me at all. If we are not changing, we are not getting better. Thank you Doug for bringing hope to the lost and homeless animals of Fremont Co. Thank you to the animal advocates who campaigned for reform. And thank you to the irresponsible public for making lifesaving the priority at the Humane Society of Fremont Co. It would be hard to imagine a more impressive turnaround or a more promising start. I hope the future holds continued success. at the Pease Auditorium at Central Piedmont Community College, 6pm. If you are also attending, please say hello. To see where the film will be shown in upcoming weeks, check this page. “If they’re healthy and treatable, let’s not destroy those animals,” Kavanaugh says. “We don’t need to be spending our money that way. And it’s not consistent with our values. “I think it’s possible that we could have a no-kill community in Huntsville in months,” Kavanaugh says. And after that, she says, the culture of no kill could spread to other communities in Alabama. Sounds sensible, believable and achievable to me. Thank you Aubrie Kavanaugh for speaking out about replacing a culture of killing with a culture of lifesaving here in the south. More, please. 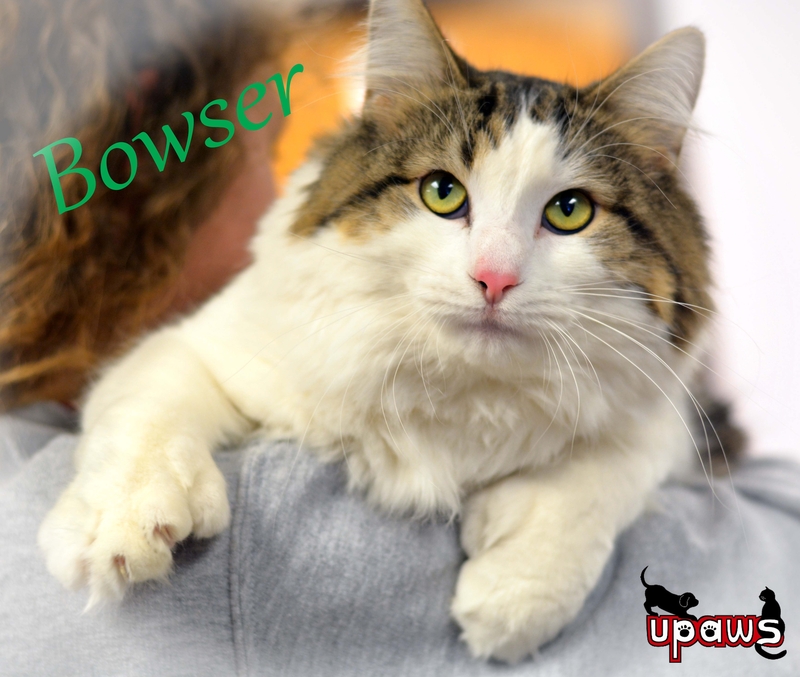 Regular readers are familiar with both UPAWS – Marquette County’s open admission, no kill shelter in MI – and its Pet Promoter in Chief, Ann Brownell. For those who aren’t, I asked Ann to preface her answers to my interview questions with a short bio. My questions are in bold and everything in italics was written by Ann. Part 1 of this interview focuses on marketing individual animals and Part 2, which will run next weekend, is primarily about marketing the shelter itself. 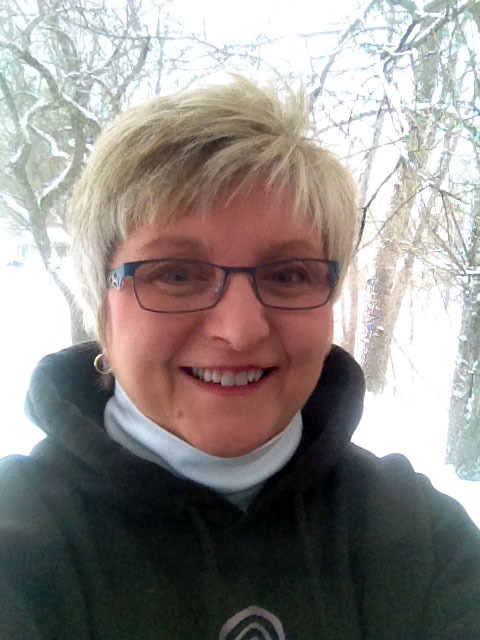 My name is Ann Brownell and I have been volunteering since 1997 at The Upper Peninsula Animal Welfare Shelter. 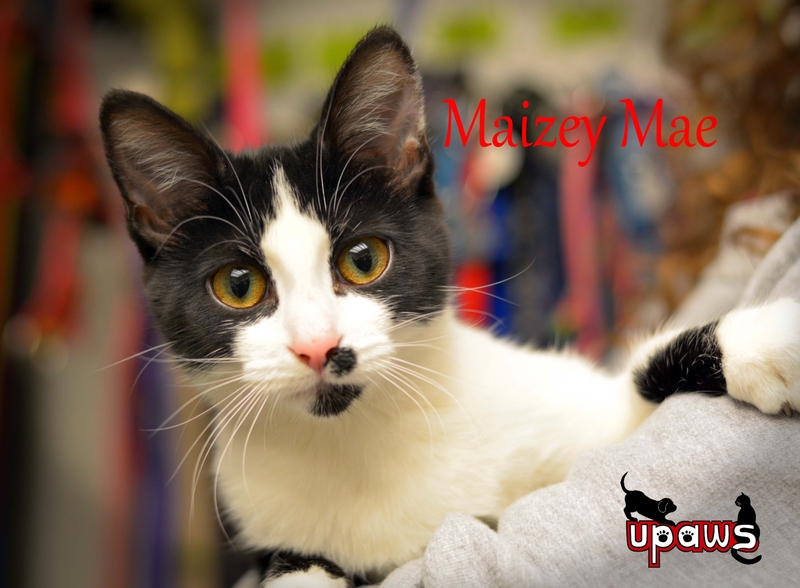 I was at UPAWS (formerly called Marquette County Humane Society) during the years of killing when our save rate as low as 34%. In 2006 our high-kill shelter began making crucial changes which put it on the road to becoming the open admission No-Kill shelter it is today. I am honored to have played a role in that journey and am proud to tell anyone who will listen that in 2013 we are at a 97% save rate. My volunteering background includes cleaning cat cages for the first 5 years, editor of the newsletter, member of the fundraiser committee, Chair of our largest profit fundraiser Strut Your Mutt, Community Outreach, Website and Facebook page admin, Pet Promotions and shelter photographer. I have been the volunteer Pet Promotions and photographer for more than 10 years. I was on the Board in 2002-2004 and have been currently on the UPAWS Board since 2008 as V.P. I have 30 years of retail background which I think has helped in marketing and promoting UPAWS and most importantly our shelter pets. Please read my full bio and background with UPAWS at this link. 1. Shelter pet photos help get animals returned to their owners, adopted, fostered and rescued and they aid in fundraising. In your experience, how does the quality of the photos impact these outcomes? HUGE!! The quality of the photo can mean the pet lives or is killed in many shelters across the nation! A good quality, positive looking photo is essential to helping pets find homes, being returned to their homes and attracting more supporters. In this day and age, people don’t have to drive to the shelter to see the pets for adoption. It’s as easy as a click of your mouse to see who is available to be part of that person’s life and family. A good photo can draw the attention of people who may not otherwise have noticed an animal and entice them to drive out to the shelter for a closer look. These pets did not ask to be homeless, they long for loving homes. They are not cast-offs and should be given the respect they deserve by showing them as the worthy and desirable pets they are. In the case of pets being returned to their owners, a good clean photo can focus on the size, markings and weight of the pet, making it that much easier for the owner to identify their pet and get them back home. And contrary to what many people think, anyone can lose their pet – it is irresponsible of shelters to play the blame game. I could lose my cat with every precaution I believe I have taken. The goal of a good shelter is to help that pet find their way back home and part of that solution is advertising the lost pet with a photo and description. Good quality, happy, snugly, detailed, well lit pet photos are wonderful for fundraising. UPAWS has found that people want to help but they want to see that their donations are going toward saving lives. UPAWS will never, ever play the card of “this poor sad looking pet behind these cage bars” photo plea. We just don’t advertise that way. We found that it turns people off and makes them feel bad and sad, neither of which will make them want to come to your shelter. In pet adoptions, a positive, clean, clear in focus and well lit photo with good detail will make your pet stand out among the 1000’s of pets available, meaning, that a potential adopter will be drawn to that happy, clear, good looking pet photo which will bring them into your open inviting shelter to adopt, foster, volunteer, donate or just to say hello and visit. All GREAT things! What’s the saying? You never get a second chance to make a good first impression! 2. What specific qualities are you aiming for when photographing shelter pets? What things do you want to avoid in your photos? A great quality photo will be in-focus, detailed, well lit, happy looking and close up. Bottom line is positivity!! No sad, behind-the-cage, grey, dark, sitting-in-a-concrete-dirty-cold-looking kennel, out-of-focus pictures will make anyone feel good. It sure will be more difficult to get them to want to get in the car and head to your shelter and adopt. You want to have the person looking at the photo to see that pet as part of their home and as a beloved family member. You want to touch people’s emotions – get them to want to come and meet that positive, happy, clean-looking pet. For Dogs – have a volunteer or staff member help and take the dog outside on a leash (try to never take the photo of a dog in their kennel – it is very depressing). If you have to take the dog’s photo inside, take the dog out of their kennel and find a colorful background. It has been freezing here in the U.P. One day I had many dog photos to take but it was so cold, we found a colorful blanket in the bedding, hung it up and ta-da, great dog photos! Make sure to get down to the dog’s level – don’t shoot the dog from a viewpoint hovering above them. Kneel down, lie down, put the dog on a bench, have your helper hold the dog up – bottom line is to get at the dog’s eye level. Use a dog treat or squeaker, or my trick, toss a rock over your head and get ready to get that shot! Get the dogs’ attention! If the dog is too wiggly or nervous, take the dog for a good walk or run – when the dog returns, they will be more relaxed, panting (which looks like smiling) and all-in-all will be ready for a great photo. 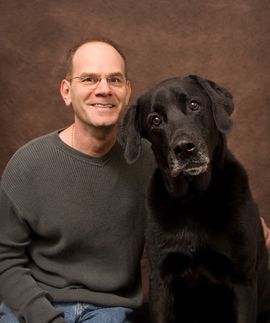 If a dog is still not settling down, have your helper kneel down and put their arm around the dog – makes for a nice shot too since it is nice to have interaction with people in your photos. Get that great close up shot of the dog’s face, eyes, and smile. If you have the ability to have a couple photos, you can add one as a full shot if you want. Also take the flash off when taking pet photos – you don’t want those shining eyes in the photo. Relax, don’t hurry, and talk in a happy, cheerful manner. Animals know if you are stressed out or in a hurry and this will show in the photos. Keep everything upbeat, positive and have fun…remember, you’re helping save lives! For Cats – it’s great again to have a helper but it isn’t as necessary as with the dogs. Again, please don’t take the photo with the cat behind bars of the cage. Avoid photos of cats lying in litter boxes. Have someone help you; wrap the kitty in a colorful blanket and have the person hold the cat. Some of the best shots are with people cuddling with felines. Gives the shot warmth and the person can imagine themselves with the kitty at home as part of their life. If the cat is in its kennel, open the door (remember no cage bars!) have a feather wand or bag of cat treats that you wave above your head or just at eye level. This will get the cat to look at you – you want a great close up face shot – the warm, big round wide eyed look of the cat. This again is done by getting the cat to look at you with that feather wand, crinkly toy or bag of treats (make sure to give the kitty a treat though!) Use a colorful blanket as a backdrop for the cat to sit or lie on. Another trick I have found is if the cat is lying down in their kennel (say on their Kuranda bed) and you are getting the shine off the back of the kennel stainless steel; put a colorful plastic placemat behind the cat (see example). Not only will it pop but it will take away that shiny cold stainless steel look which you don’t want. And again, no flash as we don’t want shiny glowing eyes. Editing – Once you get your photos, you’ll want to edit them, by cropping them to an appealing size. Editing will take out all the undesirable things such as a litter box in the background, peoples’ legs, leashes, dog drool etc. If you want to go the extra mile, you can enhance your photos by sharpening and brightening them and by adding soft borders. For years I used Microsoft Digital Image 2006 Suite to edit my photos. I still use this but have recently Adobe Photoshop to edit and enhance my pet photos. Add the pet’s name and, if you wish, the shelter’s logo. There you go…great photos in the making! There you go…saving lives! There are many great websites to help you with advice on taking great photos. I have been taking the UPAWS photos for 10+ years and have Googled, and learned through reading and gathering information, what works the best. One website that I highly recommend is “One Picture Saves a Life”. Not only does the site have great tips, it goes into the types of cameras and lens that work the best. Please note, you do not need a high-end expensive DSLR camera to take great photos! DSLR’s are recommended and if you or your shelter has one, they are excellent but not necessary. I use a Nikon D7100 DSLR in my photos but have used point and shoots and smart phones in a pinch and they have worked fine. Just keep that flash off and follow the above tips and you’ll be on your way to taking super photos and more importantly, become a part of the solution in helping homeless pets find loving homes. 3. What types of profiles/bios are most helpful in marketing shelter pets? Keep it positive, happy and upbeat! You want to paint a picture and tell a story of how that pet can become a beloved family member. Describe the dog as a buddy that would love to be your walking pal, snuggle buddy, and best friend, or the kitty as lovely pet to come home to with her calming purr and gentle ways. The reader doesn’t want to be depressed reading the bio. They want to read how wonderful this pet would be in their life. They want to feel good. Tell them how grateful that the pet will be and how it will repay your kindness with hugs, kisses, and unconditional love. NEVER say this pet has X amount of time or will be euthanized! Don’t threaten or guilt people into adopting. Don’t go on and on with a bunch of negatives like “no kids”, “not house-trained”, “no other animals”. There are ways to address these issues without being negative. The key is to keep it positive. At times switch it up, tell the story from the pet’s point of view. Have the words come from the pet’s mouth. I learned writing bios the hard way. Many years ago, before UPAWS was No-Kill, some of my bios were angry – not angry at the pet, but angry at the person surrendering that pet and the bios showed that. I even got a few complaints! I really had to sit back, stop, and reflect on what energy and message I was putting out there. Who was I helping writing something negative in the bio? Absolutely no one! Especially not the pet looking for a new home! If what you write isn’t nice, leave it out. Positive, happy, enduring, loving and upbeat are what you want your bios to be, for the pet’s sake. Our UPAWS staff deserves recognition too as they are always willing to give me a hand with taking dogs out and holding pets for photos. Also our Manager will pitch in and help write bios whenever I need help catching up, or for a fresh outlook or update. We will also do “Staff Favorites” and a staff member will write a bio about why they love a certain pet. 4. You’ve mentioned previously about highlighting a pet’s positive attributes without being deceptive in his profile. Could you give us a couple examples of this? Keep the description positive and upbeat. Think of ways to say things without being a downer. Zayda is a fun-loving, full of energy, live-life-to-the fullest gal! She knows the commands sit, down and shake and she sure would love to learn more fun tricks with your positive training guidance – especially for a Scooby Snack! 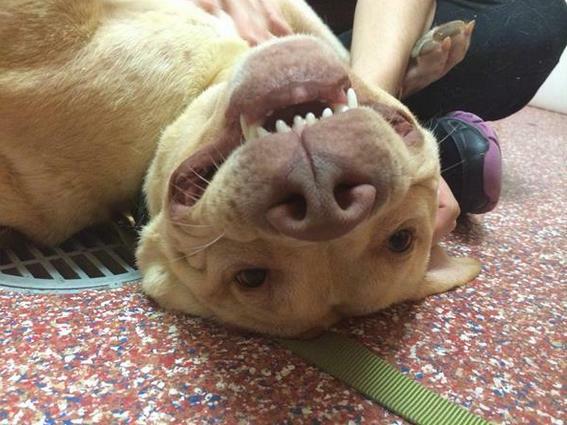 Bounty’s a great dog with a happy-go-lucky, “I love you…do you love me?” personality! Happy, joyful, enthusiastic; this big boy will be up and ready for most any type of adventure! From playing in the yard to chasing a Frisbee…Bounty is ready to go, plus be your faithful buddy all the way! He is smart and eager to learn, Bounty will work hard to please his people pals. He would love to have some training and learn some tricks. He is a fast learner, having learned “sit” quickly and is doing well walking on his leash. He is exuberant with his greetings and a big boy! A home without small children is best for this active, silly boy; he may be a little too exuberant for young ones and possibly unintentionally knock them over. Chuck would love his new family unconditionally showing his affection with kisses and tail wags. 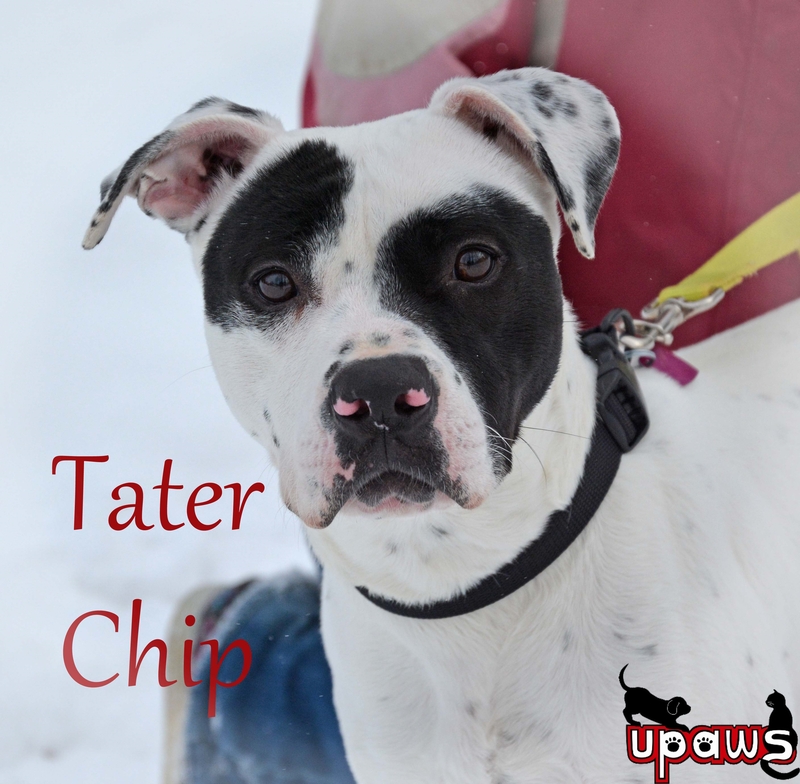 He gets along with people of all ages and other dogs (loves to wrestle and play!) Chuck would love a person who would be home with him since he loves people so much. Come and meet adorable, lovable, beagle-boy Chuck today. Yia Yia is loyal, curious and trusting canine. She’ll make a wonderful buddy and would really prefer a home where someone is around with her – she loves her humans so much that she gets sad and has a some separation anxiety when they leave. But she is a very good girl and really just not much out of the pup stage – with a little positive mental and physical training, Yia Yia will be just fine! Suzie is a delight who loves her people pals and is a bit of a Princess. She longs for a home where she is the only pet, getting the entire limelight to herself; after all, she is a pretty Princess! 5. How do you market shelter pets who are typically challenging to place such as feral cats, dogs who are aggressive with other dogs and elderly animals? Bandie has a unique personality and considers herself Queen of the Castle. Bandie likes to do things on her own terms, that including being affectionate with the people she knows and snoozing in her favorite places. Bandie has a personality! She loves to talk and walk around and pretend like she owns the place. She is a fun girl, with a unique personality that deserves a good home. 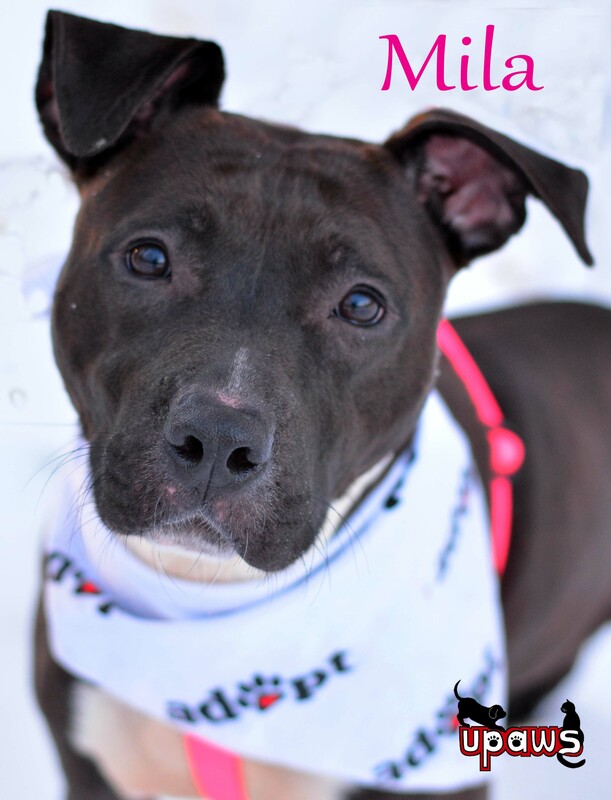 Come meet Bandie today! Zilla has a BIG personality!! She LOVES to play and play and play!! Zilla also likes to meet new people on her terms…yup, she likes to be the center of the universe and will let you know that! Zilla likes to be busy…playing, or looking at the birds in the feeder outside the window. Zilla is best placed in a cat savvy home. One who knows cat language – who knows the twitch of an ear, flick of a tail, size of the pupil – and what that means. Most times it means for Zilla – I am done being pet or I want to play and play until I am really tired. We love Zilla and want her to find a great home – she really is a sweet, brave, little gal. This is a best friend in the making, so come meet Zilla if you feel you may be the home for her! LOVE is positive…Being FIV or FELV positive doesn’t matter to Jimmy John & Rosie. But you know, being loved does. Caring for a pet with special needs may take less time and money than you think and the love you gain is priceless. They are special kitties and need a special indoor only home – one without other cats or with cats that are also FELV positive. Bobby adores all people – all ages, makes, and models! He will play, cuddle, and love you. He wants all the attention and love to himself. Because of this, Buddy prefers to be the only pet. Though he gets along happily with all people, he isn’t too happy with other pets taking his attention, love and food. He wishes to be the only fur-child of the family. Hi, my name is Buddy and I am a 12-year-old, male, neutered, apricot colored, miniature poodle. I belonged to a beloved older couple most of my life – sadly they both have passed away and I am now looking for a new loving home. I was loved all my life and long for the rest of my years to be the same. You know what I miss? I miss sleeping in bed with my Mom – I used to love to snuggle real close to her against her back. She loved that too. Living in one home since she was a young dog, Lulu had a great life. 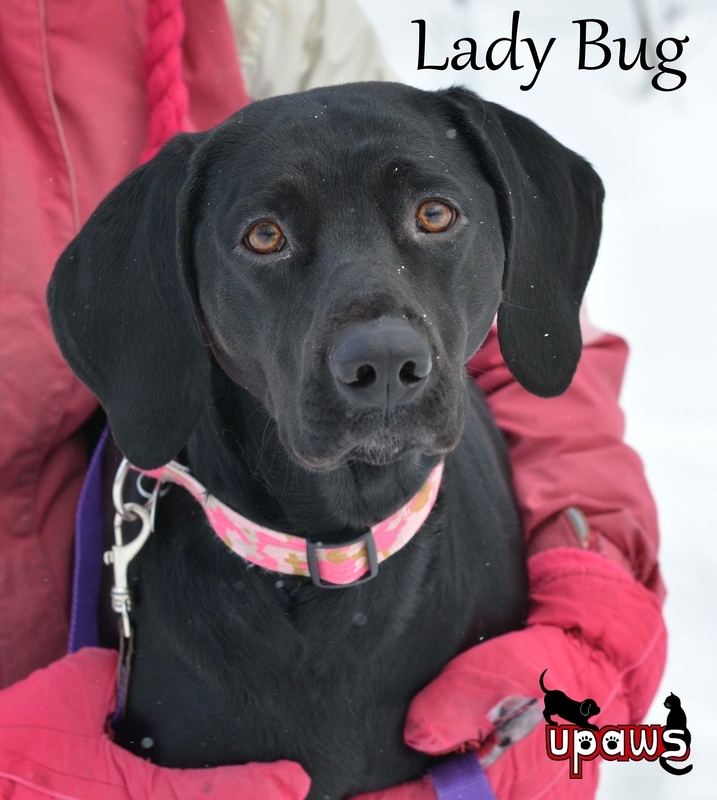 All of us adore her and are doing all that we can to help her transition (she is now in a caring UPAWS foster home). Miss Lulu is good with children, other dogs and is fine with kittens and cats. Her foster family had this to say about Lulu: “She’s a very quiet girl, doesn’t seem bothered by any of the animals here, enjoys short walks and sniffing around in the snow, hasn’t had any accidents; she slept thru the night with no problems. We haven’t heard her bark, no issues with food. She is a wonderful girl”. Lulu is a gentle soul who will give you pure, unconditional love, kisses and devotion. Lulu has known a family and love for 16 years, and hopes she will be lucky again with a second chance. Open your heart, give Lulu that wish. Grizabella is a gentle little girl with a darling personality. You can most often find her grooming and snuggling with her other feline condo mates. She would do great in a home with another kitty to bond with. Grizabella was found living outdoors with a group of other kitties. It has taken some time for her to adjust to people, but we have slowly seen her open up and blossom. She would need some time to adjust to a new home, but we think after given love and care, you’ll see a wonderful kitty show her true fun and gentle personality. 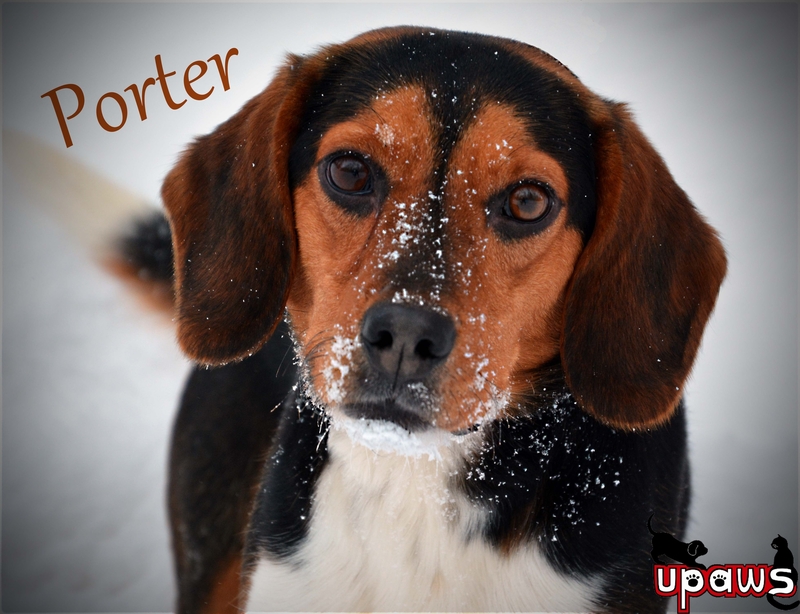 Thank you Ann for sharing your expertise in shelter pet marketing and for your fabulous photos. I’d like to interview more people like Ann. If you know a shelter employee, volunteer or advocate who does an extraordinary job advocating for shelter animals, please e-mail me their contact information if you think they might have time to answer some questions about what they do.